We need data to ensure an optimum experience of various software that we use daily, to provide better and more adapted services, to improve work practices, and so on. In the world of computing, data can take the form of texts, images, videos, sounds and geolocations. 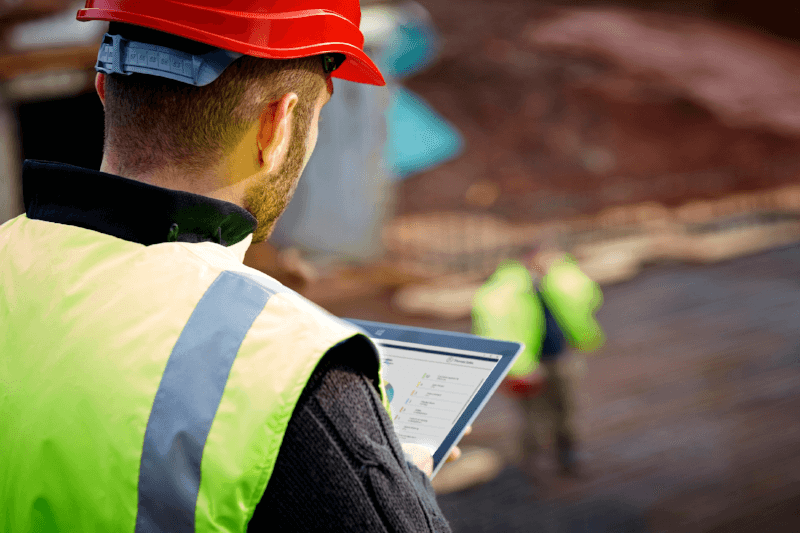 Digital technology in the construction industry is still emerging, but it’s quickly gaining an important place on the market. With approximately 80% of their workforce working on site, most contractors are now shifting from traditional ways (e.g. papers and Excel sheets) to digital ways of collecting data (e.g. mobile applications) in the field. Indeed, it has always been an arduous task to transfer information from the field to senior management, making communication quite challenging. Not only are there communication problems, and losses of important information, but senior management often doesn’t get an accurate picture of what is happening in the field. Similarly, field people could benefit from knowing what’s happening in other comparable projects, or what is expected from them specifically. That’s when data comes into play. Indeed, with the use of the appropriate mobile technology, it is possible to capture precise data on site, in real time, and automatically making it available to all contributors and people concerned. One advantage to such technologies is that they usually don’t only apply to one industry, or one project in particular. Choosing a software that’s flexible enough to adapt to all industry sectors, country specificities and project specificities, is key to understanding your data. There are numerous benefits to centralizing all data coming from the field within one solution; these will be discussed throughout the upcoming sections. Since digital apps gained popularity in construction fields, companies started gathering important quantities of data. With FINALCAD’s unique approach, all the information collected directly in the field becomes available via a Business Intelligence platform. The data can be accessed at all times, that way clients get a better understanding of the main issues their teams encounter on a regular basis. It is safely stored in the closest data center available based on the location of your construction sites. The way we collect, store and use data meets strong security requirements, and is GDPR compliant. We work collaboratively with each client to use data in a way that respects their practices, in order to meet their specific business objectives. Lastly, we are also committed to continuously adding new features and developing our products to help companies thrive in the digital space. Being able to provide precise and robust reports about what is observed in the field is key. Indeed, knowing that about 80% of employees work in the field every week, and that most decision-makers aren’t exposed to field intelligence, it becomes very hard for them to make informed decisions at a larger scale. It seemed crucial to us to connect the construction value chain to improve communication, quality, and ultimately accelerate operational performance. Hence, our clients get access to a selection of standard reports that help them quantify the most recurring issues encountered during construction works. Based on that information, they can implement a course of action and new controls methods to remediate these problems. With this knowledge, contractors also get an understanding of the app usage, and can follow-up with people in the field and / or adjust training if needed. Centralizing the way data is collected on a single software shared throughout the company, and creating a knowledge base created via standardized methods is the most efficient way of giving concrete meaning to information coming from the field. Business analytics are a great way of identifying key performance indicators. If data is measured regularly over a certain period of time, we can analyse performance. This means we can start doing predictive analyses. For example, let’s take a building construction project where solving unexpected issues took two additional months to the total duration of the project. When looking at a similar project facing related issues, we can easily predict the finish date. The work for a general contractor becomes much more collaborative. Each construction team can learn from its peers, and avoid repeating the same mistakes, or find faster alternatives to face daily challenges; hence the importance of centralizing data within a single software solution. This applies to all types of construction projects, whether they be related to infrastructure, building, energy or any other special projects. Custom reports and benchmarks may also be generated based on specific client’s needs. For instance, the data collected could be used to compare multiple similar construction projects, or different subcontractors, or even the company’s performance in relation to the market. It’s important to keep in mind that employees’ adoption rate and app usage are key to the success of data analysis. The added value directly comes from field people! Indeed, in order to get accurate insights, we need to collect a large amount of data. Only then will the company be able to identify the most recurring issues, and where they can improve and save money. This applies to all project types: from small and medium housing projects to much larger projects such like the construction of a new tower, neighbourhood or stadium. For the latter, a steady app usage by field professionals can help gather information quickly, allowing teams to get clear indicators of potential upcoming issues for the remainder of the project. 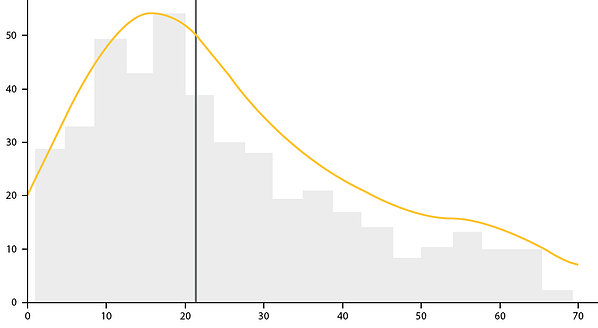 To a certain extent, an analysis of the problem-solving rate when a project enters the inspection phase can help reduce delays and predict its exact end date. More generally, data analyses help companies’ senior management make better and smarter decisions to guide their employees’ work. More importantly, it helps professionals in the field get a better understanding of what is expected from them. It guides them by providing helpful indicators, and results in a better time and resources management. The reality of data collection is that it is a laborious task to get something clean at first. For example, let’s take a potential issue with a bathroom door. There are thousands of ways this type of issue could be entered in the system: missing door, install door, door paint impact, wrong door, missing handle, etc. Before creating any benchmark, the data needs to be qualified, meaning we need to ensure we know what it is about precisely. Through exhaustive research, our team has found that most of the time, data can be transformed into something much more precise than what was initially entered in the system, thanks to Deep Learning methods. These artificial intelligence (AI) techniques help better qualify data particularly in a multi-cultural context with many countries and languages involved. For example, “fix plug” could become “missing electric plug cover” after a detailed analysis. They can be used with issues observed in other industry sectors as well. We also use these methods internally to do similar analyses on images. Indeed thanks to AI, computers may now analyse images and categorize defects found on photos. Eventually, these should automate problem detection based on visual information only. Another thing that can be done to add value to data analyses is enriching the client’s information with data coming from external sources, and therefore increasing the quantity of data collected. For instance, this additional data could be collected via fixed cameras on site, cranes, client referentials, and more. The more data, the better for analysis. Our approach is to constantly improve our technologies, and work collaboratively with our clients to ensure we answer their needs. More specifically, we acknowledge that the most important elements, those that can truly help change practices, come directly from the field. Therefore, it is with that in mind that we try to make our products evolve. A few years back, our team started working on SmartSnag, the first deep-learning object recognition algorithm dedicated to the construction industry. This innovative feature has been designed to ease data entry on site. Historically, entering a new observation used to take 6-8 taps, with SmartSnag, it will only take 2. Every time someone will want to add a new observation, the app will automatically open the camera, detect objects, and suggest a list of most common issues related to this object. Site Managers will only have to select the most accurate information from the list. In other words, it will be similar to Waze, but for the construction industry: people validating software suggestions based on AI algorithms. The objective is to integrate that new technology directly into our product in order to make life easier in the field. This will also ensure an optimum data consistency amongst projects. At FINALCAD, our mission is to help collaborators regain field information and is part of a broader continuous improvement approach. We want them to be able to collect, measure, track and compare construction activity in order to implement the most suitable corrective actions. Based on his strong research background from his time at the École normale supérieure (ENS) paired with his advanced cryptography knowledge acquired during his time working for the French government, Jimmy understands the importance of data, as well as the security concerns it raises. FINALCAD takes data protection very seriously and has always taken strong engagements. Our clients’ data remains their own, and is protected by a confidentiality clause, more broadly connected with professional secrecy. Furthermore, it was important for us not to add an umpteenth administrative constraint to construction professionals, but to help them being more time-efficient. That’s why we developed a portfolio of ergonomic mobile apps enabling them to easily capture the most precise information on site in real time. The data collected with our mobile apps really is key to a successful digital transition because it helps pinpoint what needs to be changed, and aligning processes. Choosing a unique software solution to guide this transition is key; it ensures all data can be found in one common platform, allows clients to create powerful benchmarks and position themselves in the industry. It’s also a great way of comparing practices / defects from one field to another, or from one country to another. Indeed, FINALCAD adapts to specific country legislations and requirements, that way the same software may be used throughout an entire company, allowing our clients to take their practice to a whole new level. Ultimately, our main goal is to see our clients succeed. We want to help construction professionals making better decisions, and helping them being better at their jobs. So far, FINALCAD has proven to adapt to any industry sector, and produces operational results within a few weeks of usage.